Last edited by NDNKIDZ; 01-05-2004 at 12:04 PM..
Ok this is something I made not too long back to kinda make an inexpensive blanket nicer for giveaway. I made a blanket strip to attach to it...the trick was I did it out of fabric applique instead of beading it. I was pleased with the way it turned out too...it looked nice. It is not necessarily amusing but is kinda my own spin on a common giveaway item. Pufferpaint comes in the same colors as beadwork. If dotted on a surface it can also look like beadwork. I have made a whole fancy shawl dance outfit out of pufferpaint. So many people came up to take a closer look to see if it was real beadwork or not. You can put pufferpaint beadwork designs on: dresses, coats, shoes, towels, socks, stockings, hats, t-shirts, jogging outfits, pendleton blankets, golf bags, drum stick bags, picture frames etc., etc., etc. Pufferpaint is inexpensive, dries fast, can be laundered and your own design can dress up a simple walmart outfit. pendleton makes nice stuff, quite expensive... but for the "fun stuff" it's reasonable - things like journals, cd cases, purses, small stuff. Location: 5 Minute walk from Walmart!! If there ain't soccer in heaven ~ I ain't going!! II also received a small travel bag with clear plastic and zippers to hold my powwow stuff in. Buy some pendleton yardage and handmake the drum stick bags, purses and vests. You can get yardage from a number of internet places and even on ebay. I made a tradional fake beadwork set with it. vest, aprons, sdie drops and belt. Looks pretty snazzy. Innovative gift item for a give-away? How about a gift certificate for . . .
One month's babysitting and housework duties from your kids? With all the snagging and high rate of STD a box of condoms would be innovative and needed to help sustain the NdN populations. sustain ndn populations?? Why would some person want to sustain the ndn population? MY gawwwddd nevermind.. Does not mean "no change" or "never changing" or "status quo"
Not that I agree with Educated about giving out condoms at a giveaway, just wantred to clarify what he was saying. There's a time and place for condoms and something as honored and blessed as a persons giveaway isn't that time or place. How about a travel kit. You can buy those little shampoo, lotion, razors, soap, hair spray, combs, ect. at any discount store. (Wal-mart or Famity Dollar). 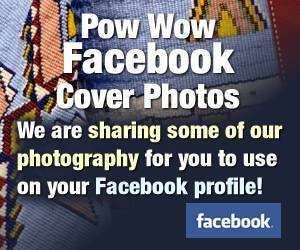 Throw in a wash cloth and then your set for the pow-wow trail. Good idea for any give away.